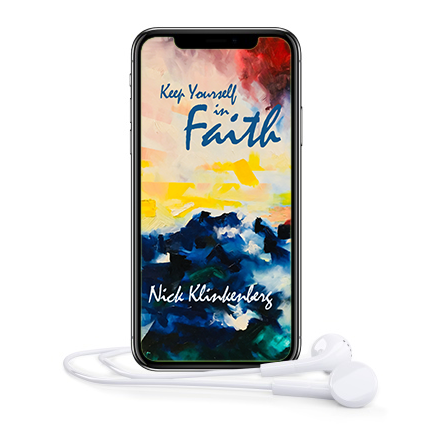 With this book purchase you will also receive audio recordings of the faith Scriptures contained in it's pages read by Nick himself.You have the choice of an Audio CD, a USB drive with digital audio files or to receive a link to download the files at checkout. “Keep yourself in faith.” I like that phrase . . . I find it really helpful. For it’s not that I need more faith or that I don’t have enough faith. In fact, if you’re a follower of Christ, you have all the faith you need to take the next step to wherever, however Jesus leads. My challenge is to keep myself in faith. "My Dad is the personification of one who keeps himself in faith. I have watched him live true to this message since I was a kid. He instilled in me from a young age a life and mind-set of faith. It’s been from that foundation of faith that my wife and I have seen countless miracles and breakthrough in our own ministry. I’m excited to see that same lifestyle of faith imparted to many more through the pages of this book." "Nick has been captured by the faith giver, who is the author and finisher of his faith, to explain through instruction, testimony, and the Scriptures themselves, the purpose and place faith is to have in our lives." Written in a personal, highly readable style, Keep Yourself in Faith is jam-packed with practicality and reality. As you dip into its pages, you find yourself touched and inspired by the personal testimonies and stories that reflect a faith that has been lived and a road well travelled. This book is not for the faint-hearted or “Holy Joes”; it’s simply too hot for them to handle. No this is for the audacious and the authentic, who dare to believe in the greatness and goodness of God and desire to see that kind faith manifested today. You will be both challenged and inspired. This is an inspiring read reconfirming my own belief as a Christian that just about everything in this modern-day living is underpinned by FAITH. There are so many alternative voices and opinions in the world, and some of them are tempting, except they are not based on faith in a living God or in any way promise forgiveness and everlasting life! Keep Yourself in Faith answers the big questions concerning faith as well as inspires the building of faith and the living in faith. It’s content is in keeping with the way Nick has lived and ministered over the decades, and it is a great companion book with his earlier works.I highly recommend Keep Yourself in Faith for all keen Christ followers. Faith is a muscle; this little book is your workout and Nick is your personal trainer. Get ready to be stretched and strengthened in equal measure. Reading Keep Yourself in Faith reminded me how my responsibility is just to exercise faith and to leave the results with God. I have watched Nick and Karen do exactly that over the years and have seen their faith seeds grow. When asked to do a review, I thought I would have a quiet read in the corner of a coffee shop, but soon realised to get the full benefit of this book, I needed to confess the faith Scriptures out loud. I am convinced that there’s real power in confessing the faith Scriptures out loud (it’s like God speaking over us) and I would encourage you to take hold of the message of this book and do the same. The “Oceans” song Nick mentions in this book was something I felt the Lord would use to get us thinking about moving into a deeper faith here in New Zealand as we desperately need that if we are to see this nation reached and His Kingdom extended. 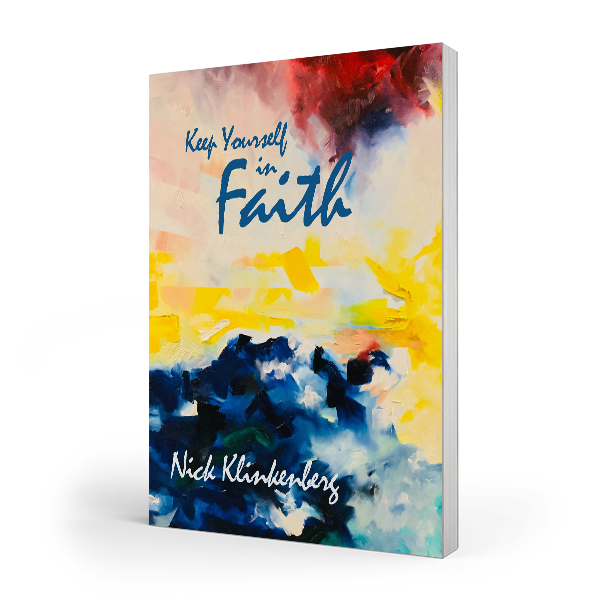 This latest book of Nick’s, Keep Yourself in Faith will feed our faith and that much-needed expression of strong faith through the teaching, testimonies and Scriptures. Thanks, Nick, for a timely resource to help fulfill the Great Commission here and in the nations. Nick has been a respected friend, mentor and colleague of mine for over 30 years. I appreciate his unflagging drive to trust God for the impossible. His resulting stories of faith are both inspiring and factual. When you want to lift out of the ordinary and into what God has for you, take a read of this inspiring ‘tool book’. Keep Yourself in Faith is a helpful and encouraging tool to remind us that God is in all circumstances. Without faith, it is impossible to step into all that God has for us. Keep Yourself in Faith is a practical, inspiring book that is an extremely helpful read for both new Christians and seasoned believers. 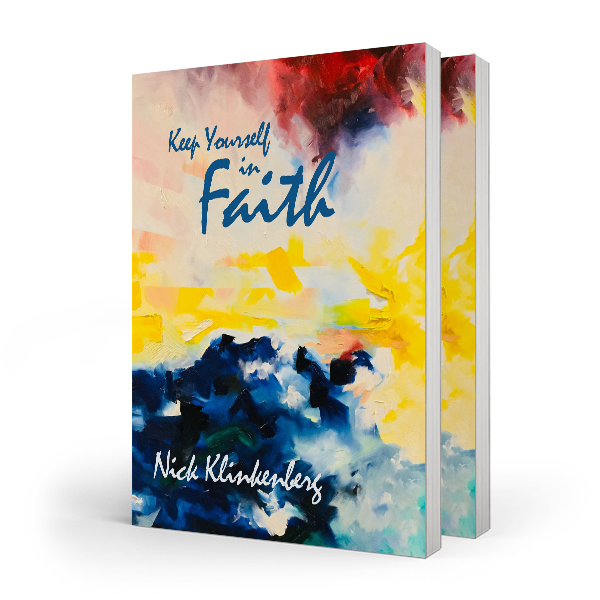 With inspiring verses and real-life stories from Nick’s own life of faith, it will release faith in and through those who read it. We need more books like this. It is easy to read, to the point, and instantly useful! This is a feature of Nick’s writing and speaking; he is down-to-earth and practical, and his material is ready to be applied. In a world of much talk and less action, application is a must, and this is supplied by Nick, where it really matters. We need the faith of God to be solid and determined risk-takers . . . rock-steady faith to bring His Kingdom on earth. Nick’s book distinguishes between the pumped-up, soulish and wishful-thinking kind of faith, or the safe, “balanced” managerial form of leadership, and genuine fully-trusting God-faith. Let’s have an open heart to receive God’s faith, and act in such faith that it moves mountains and makes the impossible extraordinary. Nick has lived a life of faith for 4 decades. He has exercised this in his personal, family and ministerial responsibilities. There has been faith for the supernatural intervention for healing, miracles and all kinds of provision. This is not a book by a theorist, but by a practitioner. Faith has burst forward in the darkest moments of his life. As you read Keep Yourself in Faith, your faith will be strengthened, stretched and invigorated. You will experience the ‘spirit of faith’ rise as you drink deeply from the great fountain. Want to live beyond the ordinary? Then this is the book for you. 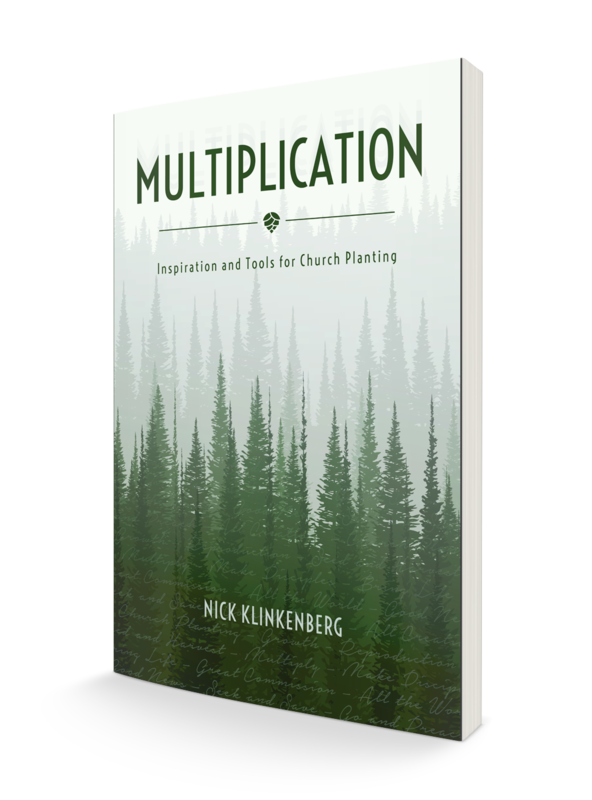 Inspiration and Tools for Church Planting. eBook available now.